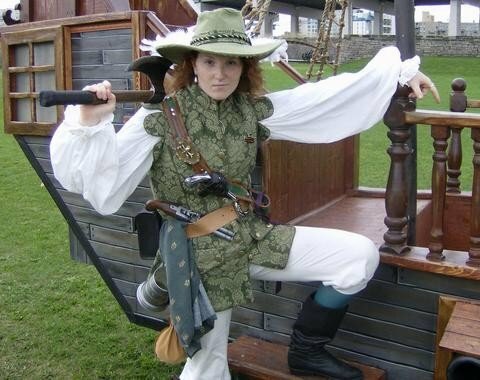 One of my fondest memories and best acting gigs I ever got was playing Anne Bonny in the Toronto Pirate Festival between 2006-2008. 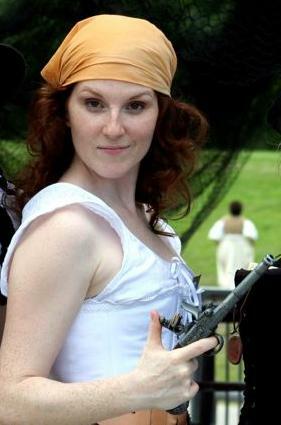 I got to swashbuckle, carry an axe, wear fun costumes, and pretend my red hair meant I was Irish. Before smart phones and before social media this video was taken of myself as the irate Anne Bonny and the now Artistic Director of Dauntless City Theatre Scott Emerson Moyle.